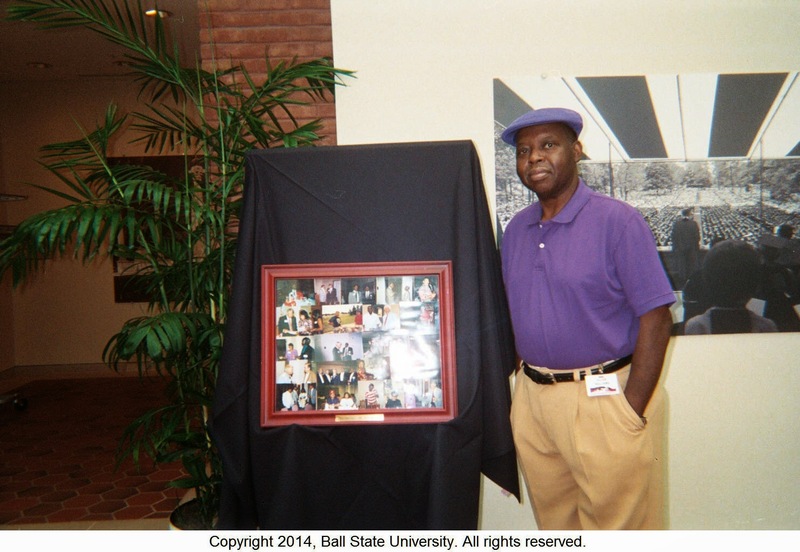 The Allen Williams Ball State University Black Alumni Collection provides online access to a collection of scrapbooks, photographs, newsletters, and videos donated by Allen L. Williams, Class of 1973, documenting the lives and activities of members of the black student and black alumni communities at Ball State University. Williams, an active member of the Ball State alumni community, served as presidents of the Ball State University Alumni Council in 1998 and is a member of the Ball State University Black Alumni Constituent Society Board of Directors. The collection includes scrapbooks compiled by the Ball State University Black Alumni Constituent Society, photograph albums andphotographs documenting the annual Ball State University Black Alumni Reunion, publications documenting the black student experience and multicultural affairs at Ball State University, and videos documenting Ball State University Black Alumni events and activities. Materials in the collection date from the 1960s to the 2000s.